WARNING: This is for fun. If it causes any offence the problem lies with the offended. 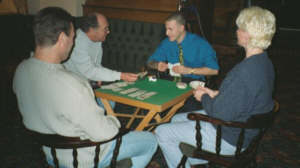 Computer bridge games are often criticised as be bad at playing bridge so why do people buy them. Bridge is a social game where you have the opportunity to meet like-minded people in a relaxed, low pressure atmosphere (:->). First: you need to find the like-minded people. 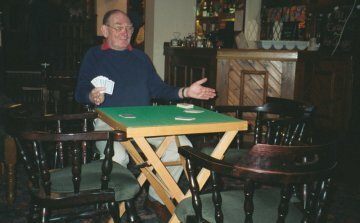 The table is there, the chairs are in place and the cards are dealt, but where is everyone? The computer is available at the touch of a button. 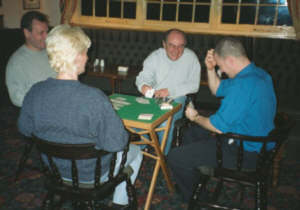 With a laptop computer you can play bridge anywhere. Winning Bridge has a full keyboard interface so you can actually use a laptop on your lap, without having to use the mouse. Second: the novice player can often feel foolish. Everyone makes mistakes, but the novice player does not always see the humour of forgetting that the ace of trumps is still out. The computer does not forget but is far too polite to laugh. If you are new to playing bridge why not take a look through the Winning Bridge help? Failure to return partners lead can provoke severe criticism, and occasionally acts of violence. 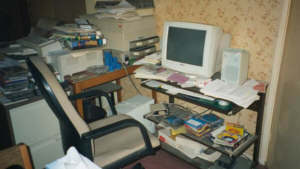 Computers have a calm and unruffled approach to mistakes made by humans, and seldom administer an electric shock. 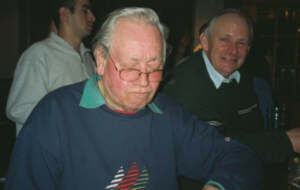 Third: some players are never happy with the way things have gone and insist on endless analysis of each hand. Of course they are only trying to help but it can become a bore when all you want to do is play cards. 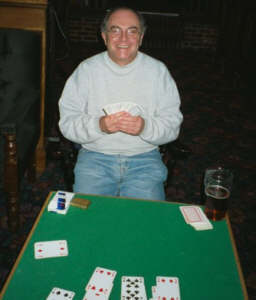 Computers seldom comment on the play, but Winning Bridge will let you return to the start of any round of bidding or play, so that you can try different approaches to a problem. Fourth: is the shame that one can feel after failing to make a Grand Slam, which is only made worse when you have to buy the next round of drinks. You can, of course, rely on your friends to give you sympathy and support. The computer will simply report the score and be ready for the next hand (and will not expect you to buy it a beer). FINALLY: there is always that awful person who is always telling jokes, blowing smoke into your face and spilling drinks over the card table. I just hate that guy! No, give me a computer opponent every time. Just like the one below, where Winning Bridge has been developed. 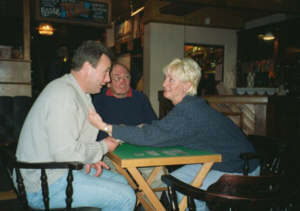 With thanks to the customers, management and staff at the Prince of Wales, Fleet for the ambiance. In memory of Peter Allen. Find out more about Winning Bridge here.